At CCP, our Huskee trash can has been the industry standard for commercial round waste containers since 1976. Stocked and ready to ship in multiple sizes and colors, this hard working item is ready to help you get the job done. Made in Missouri, using USA version grade resin, this can is built with heavy duty handles and a reinforced base that allows work to go on without a hitch. Say goodbye to the wasted time and frustration of getting a poly liner to stay with our integrated bag cinch. Our flat durable interlocking lids snap tightly onto the base while also allowing you to securely stack your Huskee. Or contain waste while also encouraging use with wide opening lids that have tight closing doors. This keeps odors in, and rain and pests out. Need to transport your Huskee? Our American made dolly makes it a breeze with a lightweight design, non-marking casters, and twist-on, twist-off attachment. And don't forget about our Huskee recycle line that keeps up with a high volume usage. It's easy to see why Huskee has held their reputation for over 40 years at providing long-lasting use at an unbeatable value. Ask your sales representative today for details or visit us at CCPMFG.com to view the Huskee lineup. CCP Huskee trash cans are a long-lasting product that will help with waste management. With features like an integrated bag cinch and a snap-on lids, Huskee trash cans are a smart choice for any establishment. Crab is a delicious and versatile meat to be used in a number of dishes, but accessing this meat can be tricky. 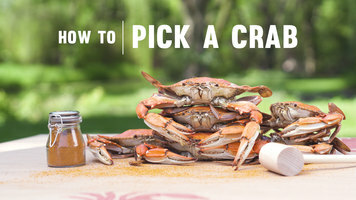 Watch this video to learn the best method for picking a crab! 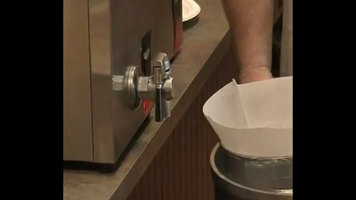 Want to learn how to clean your Vollrath deep fryer? 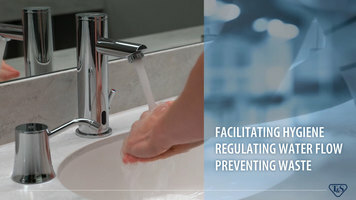 Watch this video to see just how easy it can be!